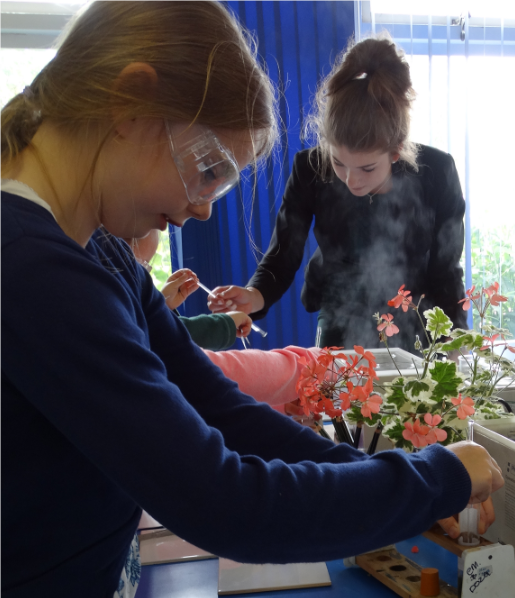 The Akeley Wood Science Roadshow visited St James and St John Primary School in Chackmore on Friday. 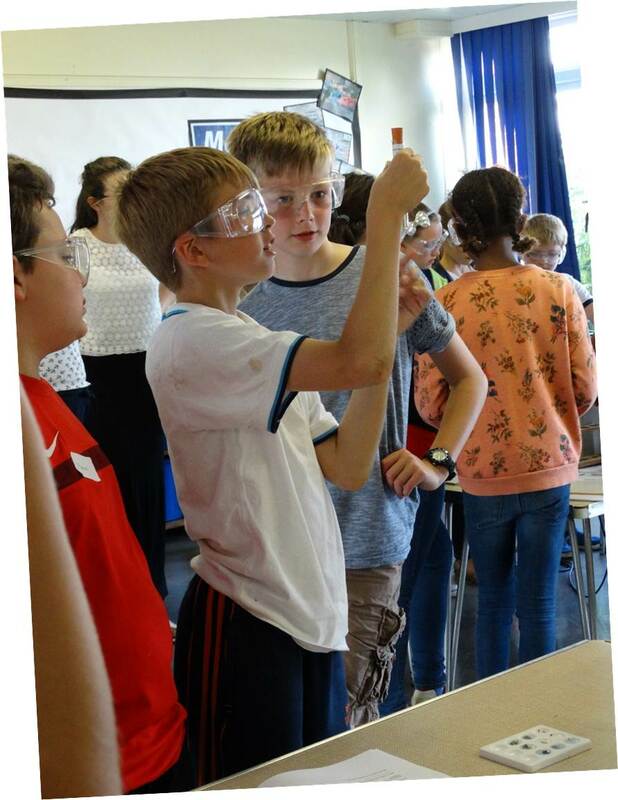 The purpose of the day was to introduce pupils at St James and St John to the sort of practical science activities they will carry out in secondary school. The day started with some outdoor demonstrations and then all the pupils in the school had an opportunity to do three experiments taken from the secondary school syllabus. 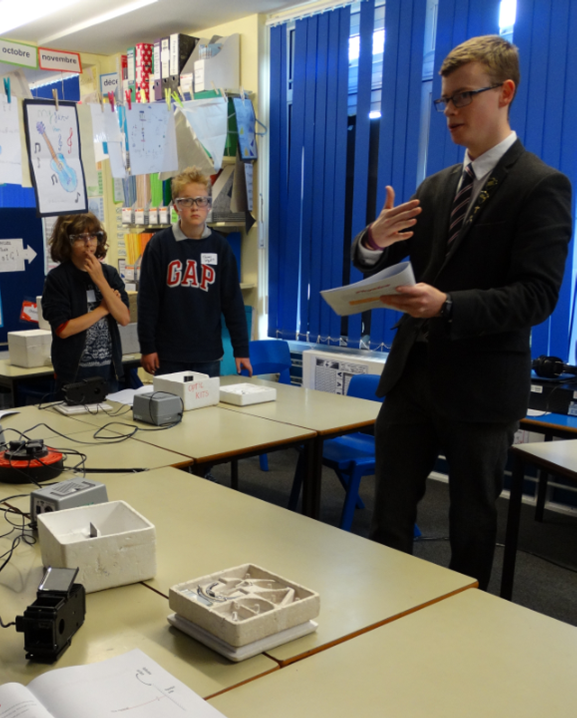 Pupils were taught by our Science subject Ambassadors, James Lindley and Phoebe Scholtens; James and Phoebe put in a massive days work, teaching their lessons nine times in total. Their unflagging enthusiasm for their subject and their commitment to allowing the pupils to enjoy the experience was a great credit to them. 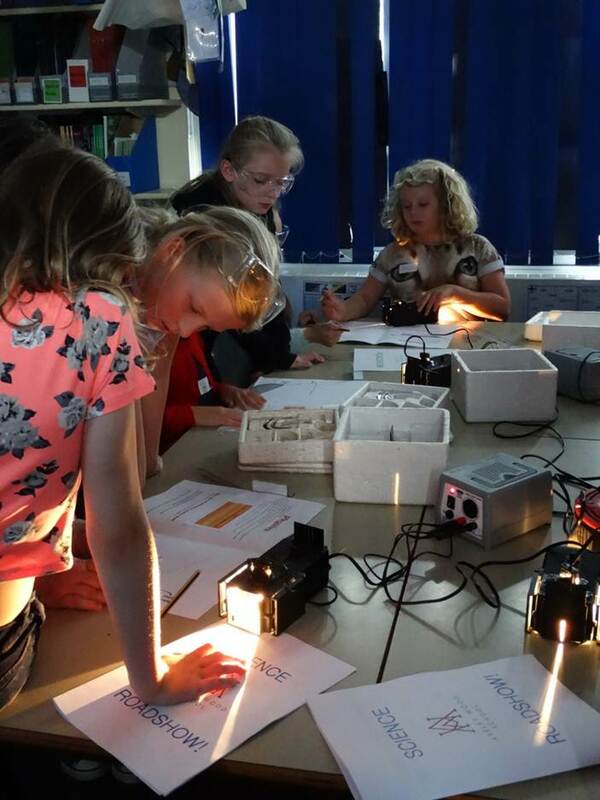 James taught a lesson introducing pupils to the use of light boxes to investigate the Law of Reflection, and Phoebe led the pupils in an experiment which showed that chlorophyll in plants is necessary for photosynthesis. The chemistry experiment, which I demonstrated, showed a reactivity series for metals. Both subject ambassadors fulfilled their role admirably, passing on a passion for their subject to the younger pupils. The primary school pupils participated with enthusiasm and great focus, I overheard one pupil say to her friend that she loved science and now intended to be a scientist when she grew up! So well done James and Phoebe! 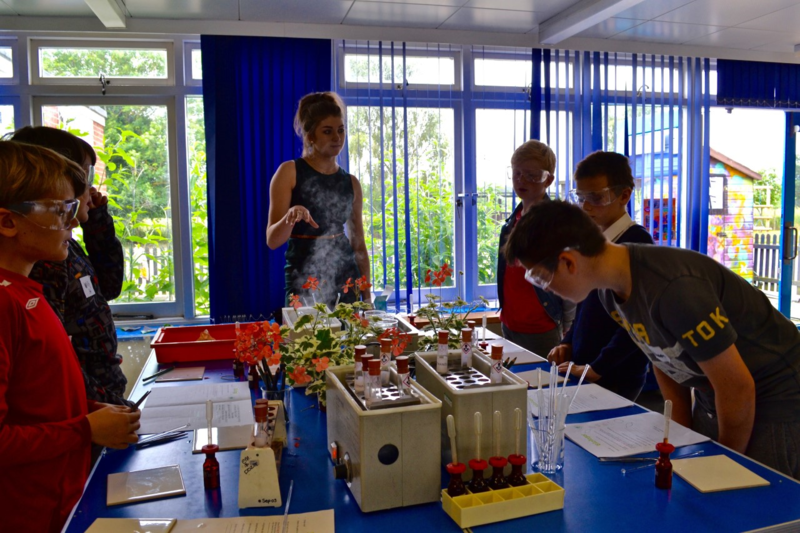 Mrs Malony , Akeley’s’ Science Technician kept up a constant supply of new materials to the workstations and helped the pupils explore their learning. We were accompanied on the trip by Jemima Wilch, Alice Wetters and Jane Hunt, who took photographs of the results for pupils to use in a workbook, distributing them as the day progressed, which was quite a feat of organization! They also took the lovely photographs which you see here. We were made very welcome by the staff and pupils, and everyone concerned had a very busy, productive and enjoyable day!